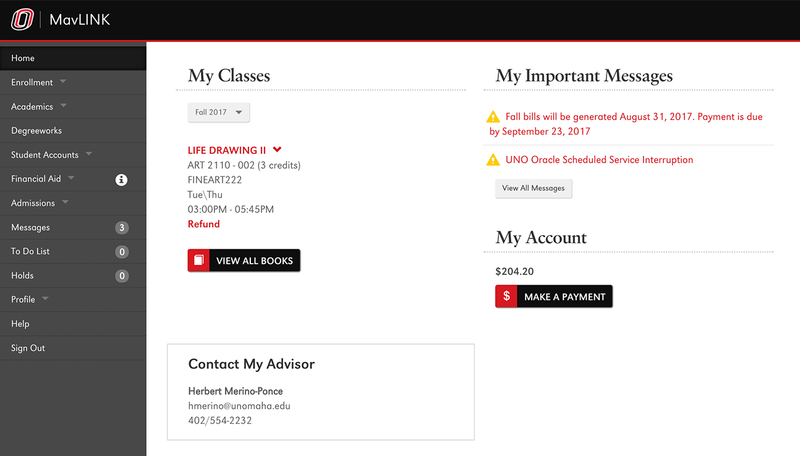 Design and develop website templates and implement them into UNO's first content management system, Cascade Server. 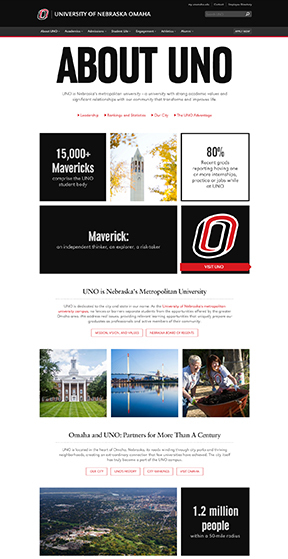 Design and develop the user experience for UNO's first version of the University of Nebraska's "common application". 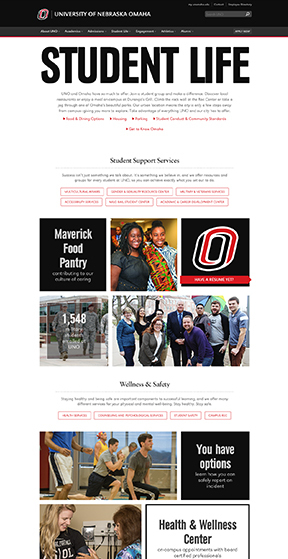 Design and develop a mobile-friendly, responsive user interface for the MavLINK student dashboard. Design and develop websites for major construction projects and subsidiary companies. Assist in maintaining corporate website and intranet. Design print materials for Kiewit's annual meeting. Slice and code marketing emails. Update products on e-commerce website. Assist with admistrative duties as needed. 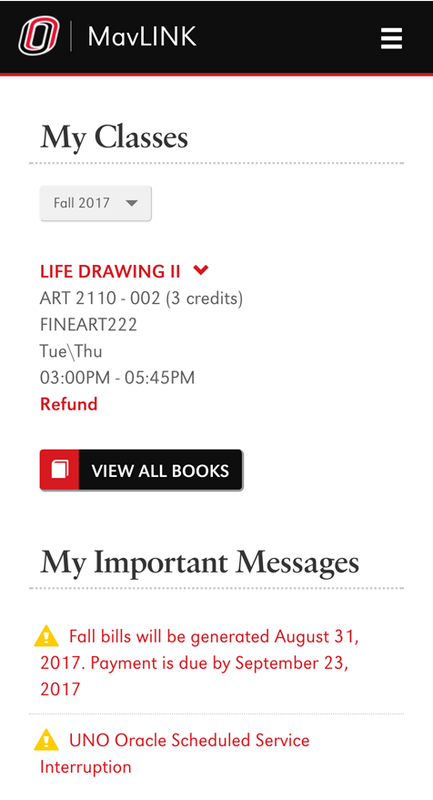 Graphic design for insurance forms, marketing materials, annual reports, etc. Design and develop the company's website. 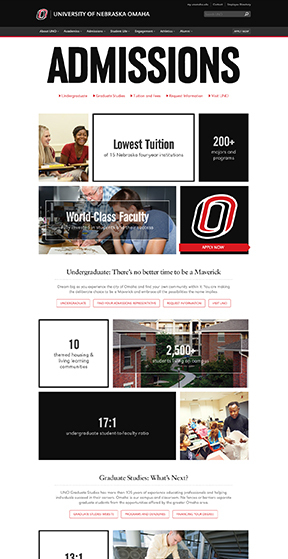 The goal of this project was to re-design UNO's top level landing pages to incorporate more bite-sized pieces of information and refresh the look to better align with current printed marketing materials. 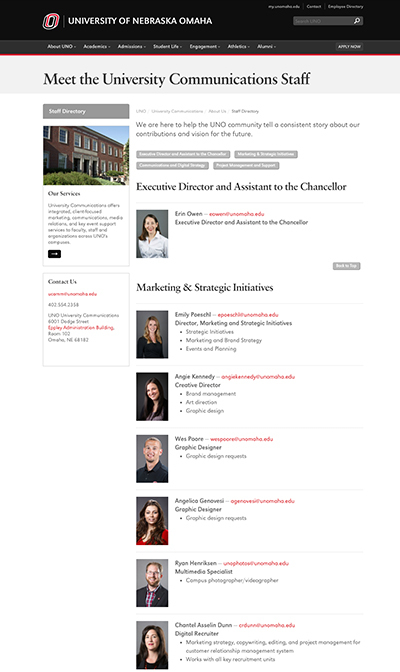 Working with the University Communications Team I designed a few mockups in Photoshop, and after some revisions went on to build out the templates in our Content Management System, where the Communications Team input the content to create the new pages. 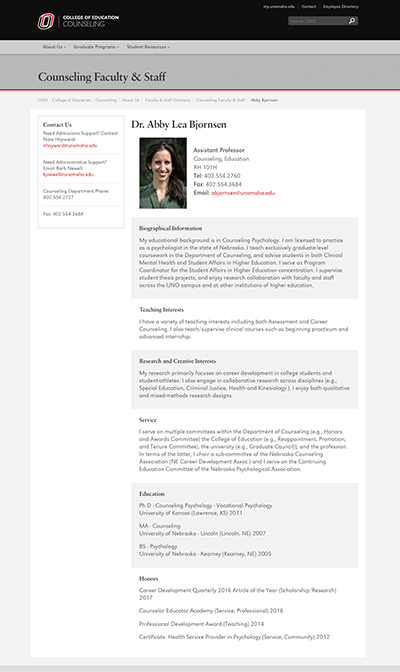 The goal of this project was to design profile pages that could display existing content from Digital Measures faculty profiles and create a directory listing using the newly created profile pages. Working with the University Communications Team I designed the pages and and built the templates in our CMS. 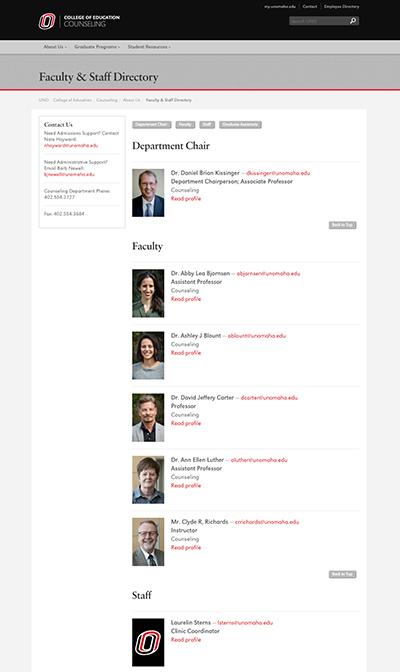 From there CMS users from across the university could create profile pages by either manually entering content or simply putting in their ID number to generate a page straight from their Digital Measures profile.